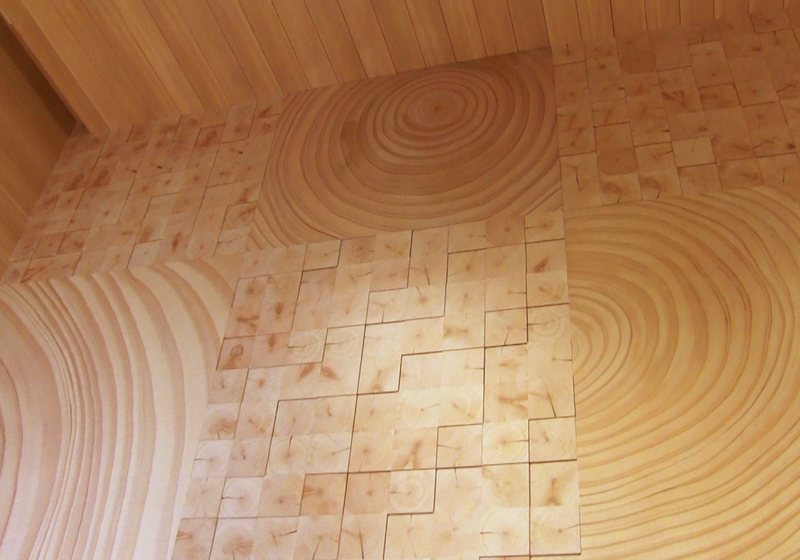 Japanese cypress, or hinoki, has been considered “the king of wood” in Japanese traditional architecture. 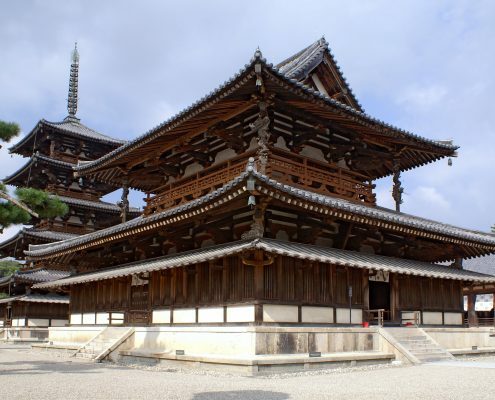 Horyuji, the world’s oldest surviving wooden architecture (built in the 7th century), used the best quality hinoki. 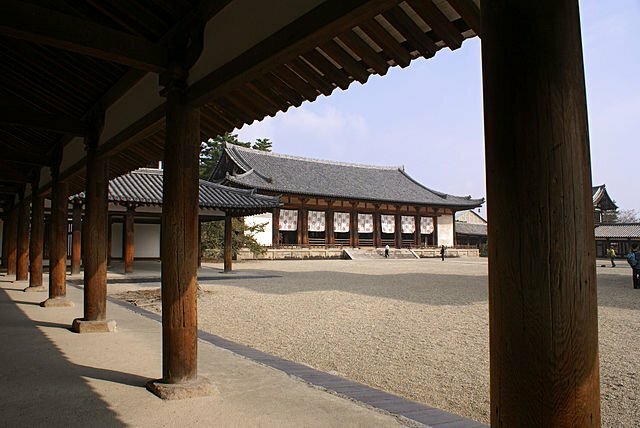 After more than 1,000 years since its construction, Horyuji’s original wooden structure is still standing firm, surviving a series of high-profile maintenance. Japanese cypress is a large evergreen tree with beautiful grain. It’s dense, uniform grain, is resistant to moisture, and is smooth and fragrant. It’s also very resilient, and continues to increase in strength even after about 200 years after it has been cut down. Then it starts deteriorating slowly to its original strength, for another 1000 years. The only big problem is that it takes so long to grow such high-grade lumber. Rule of a thumb: a 1,000 year-old-tree will last for 1,000 years after it’s cut down. You could easily imagine that the Japanese will run out of 1,000 year-old cypress pretty quickly. 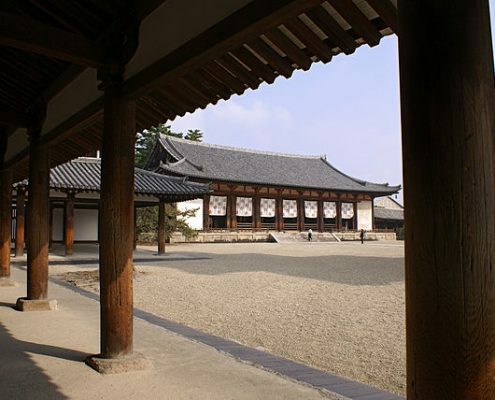 After a couple of centuries since Horyuji was built, people started to have a difficult time finding high-grade lumber. By the 12th century, pines and other species had become major construction lumber because accessible cypress wood was almost all gone. At the end of the day though, the timber with the highest grade is not easily renewable. It takes centuries to harvest it and no technology can make it faster. The supply of hinoki is still limited today. 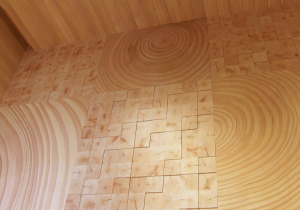 The highest quality hinoki (kiso-hinoki) has to be at least 150 years old. 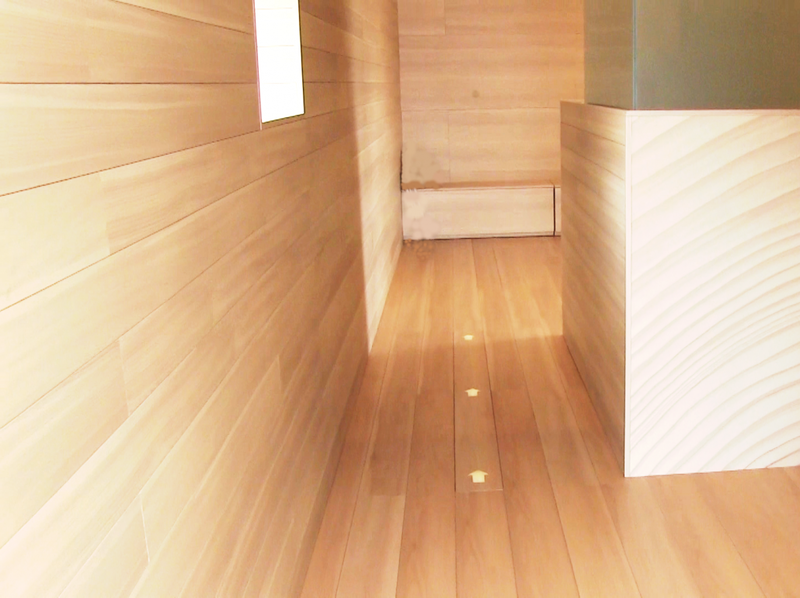 If you want to make a bathtub with it (because its smooth texture and fragrance, hinoki bath is considered luxury! ), you would easily be spending tens of thousands of dollars. 1,000 year old timber is far, far away in the distance. Maybe no one will ever see it. While hinoki is loved by Japanese so much, using them too much would result in an environmental and cultural degradation, since hinoki needs hundreds of years to mature. What else can we do? At House Vision 2016, Toppan Printing, a Japanese-based global printing house, revived precious trees, leveraging a state-of-the art technology. 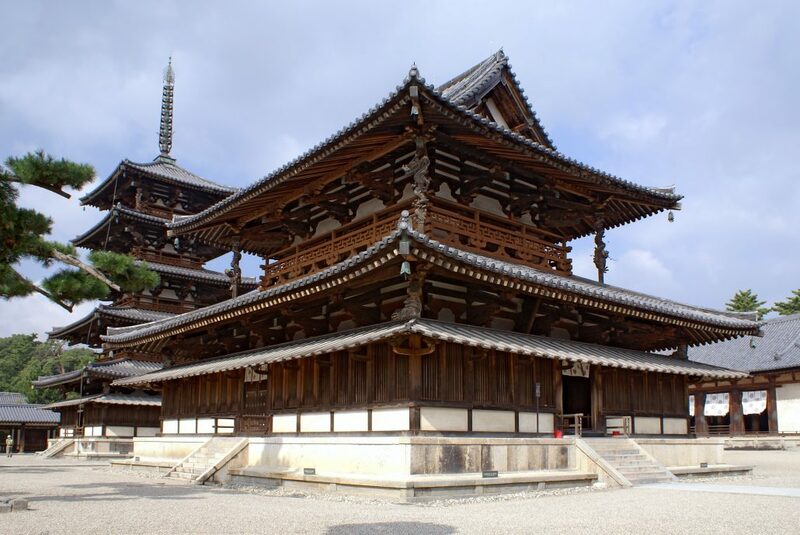 It scanned a piece of Yoshino-hinoki, about 120 – 160 years old, with a super high-resolution for printing. It virtually captured every delicate grain and color gradation. 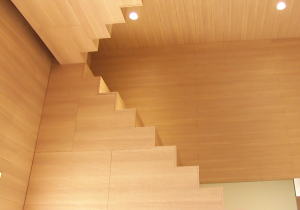 If that’s not enough, Toppan added a layer of coating that would represent the texture of cypress wood, including a subtle unevenness or regional sleekness. Printing technology today can replicate visual and sensory details of natural beauty. 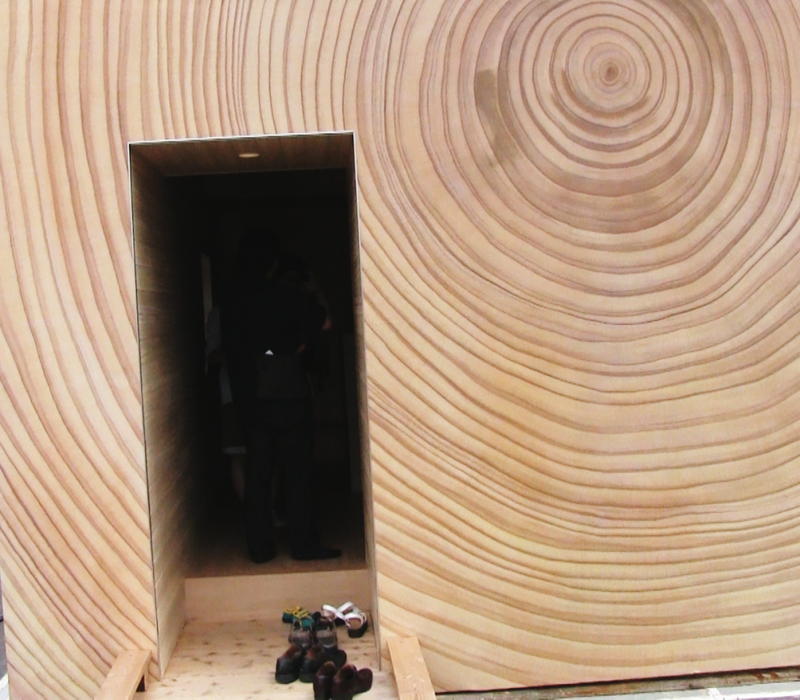 Entrance of Wood grain House shows up-close hinoki rings that we usually don’t get to see. The outlook is realized by “gluing” the photogravure print to the surface of the building. 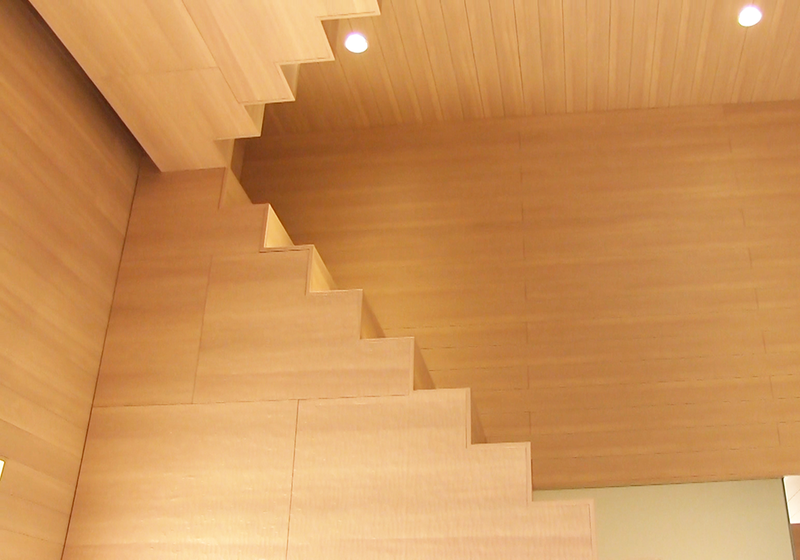 And it delivers an interesting impression: although hinoki is a natural material, and the sheet accurately replicates it, there is something futuristic about it. 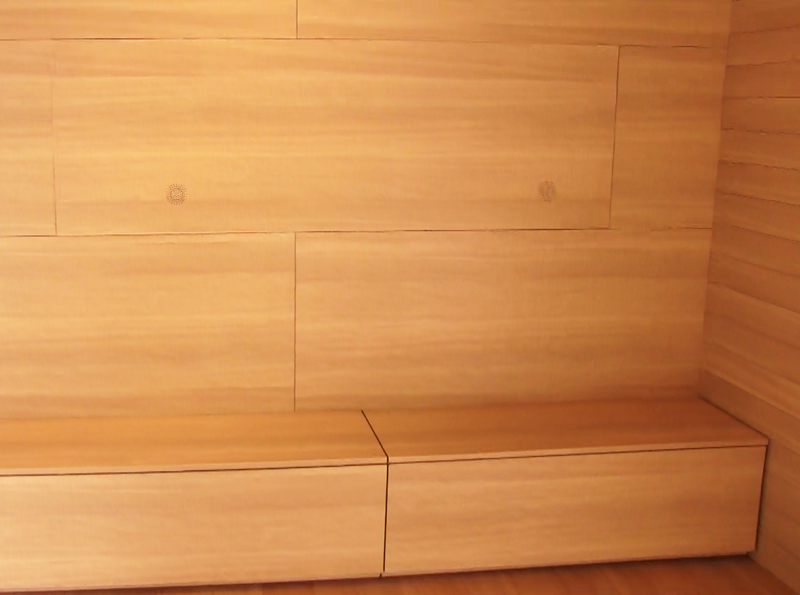 Probably it has to do with the fact that it is made with printed sheets — even if you are inside and leaning on the wall, you won’t feel the mass and weight of real wood. Instead it feels very light – very much like skin. 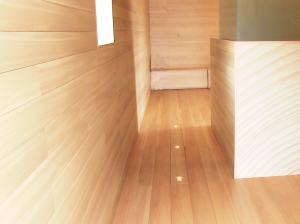 This house feels like a light-weight envelope. And the envelope is multi-functional. If you take a close look at the left image, you can see some lit arrows on the floor. This is achieved by a technology that makes LED light permeable. The lights are actually under the printed sheet (floor). And when it senses someone coming closer, it lights up to show him/her the direction. The right image is a wall with yet another censor technology, embedded in the print (it’s the circle area with tiny dots). When you sit against it, it starts measuring your pulse, among other vital signs. After it is done analyzing those data points on the spot, it will let you know how stressed you are. We are trying to live an affluent life in an increasingly resource constrained world. Renewable resources are becoming important more than ever, and we consider wood a renewable resource. But every tree is different. Fast growing trees, such as bamboo, is different from hinoki, the king of the timber, which takes hundreds of years to mature. Although it is important to leverage the efficiency of fast growing trees, hinoki’s beauty and resilience can only be nourished through a long history. And that’s what people deeply appreciate. Substituting slow-growing trees with fast growing ones may be one solution to maintain the aesthetics of architecture, while avoiding the depletion of the slow-growing trees, but technology could play an unusual role to give us new perspectives to hard-to-renew, precious natural resources. Another important aspect for architecture is to re-think and re-define smallness, since we will be sharing the planet with increasingly more people. 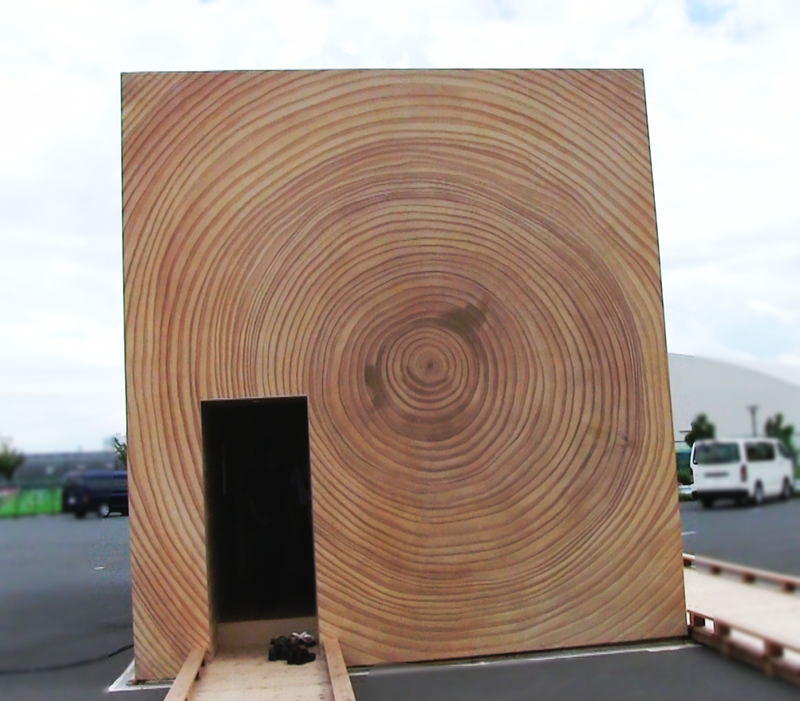 Wood grain house suggests that the walls could start to increase their importance. If walls can take on more functions, then we will need less and less space to achieve the same quality of life. TV is already becoming part of the wall, thanks to advanced technologies. Moving forward, walls will no longer be the passive part of living, which you have to animate with hanging pictures. 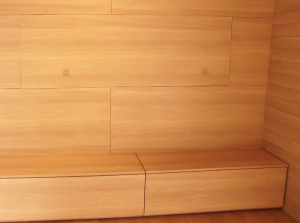 They can become an interacting part of the house, that can sense our information and provide comfort. Toppan Printing shows us that printing technology can be the solution for us to live smaller, and smarter.